VyStar makes new branch ‘official’ with ribbon-cutting ceremony - The Resident Community News Group, Inc. | The Resident Community News Group, Inc. 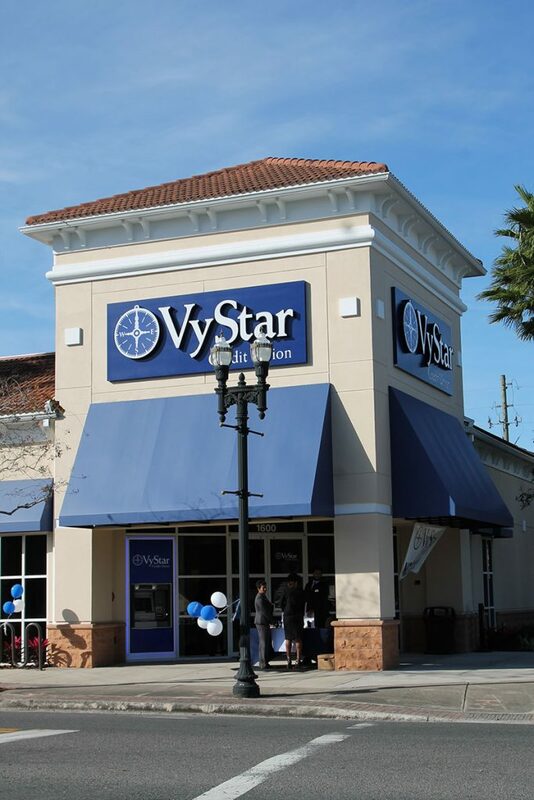 Although the official opening was Dec. 3, 2018, VyStar Credit Union held the ribbon-cutting ceremony Jan. 9 in San Marco for its newest branch. Located at 1600 Hendricks Ave., across from the San Marco Branch Library, Balis Community Center and Southside Tennis Courts, the new office is the 49th branch in the VyStar family. 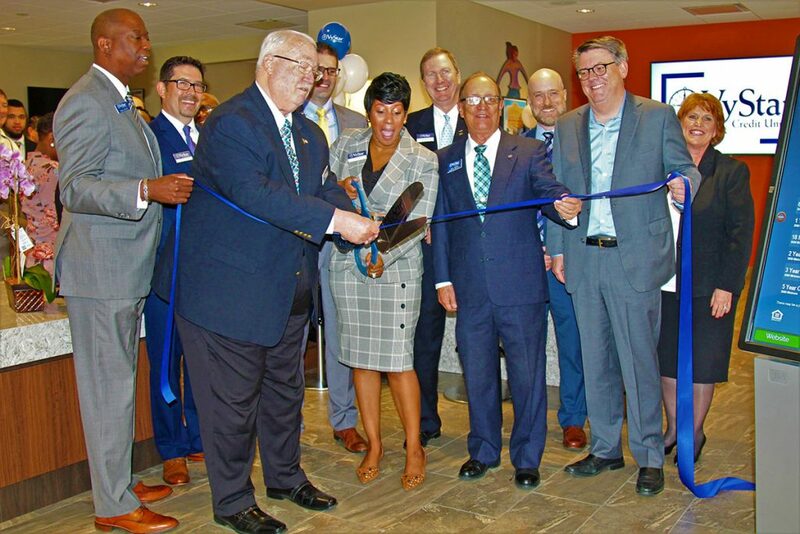 More than a dozen members of VyStar’s leadership attended the ceremony, greeting customers in the branch, which formerly operated as a Regions Bank. VIP guests included Eric Hatfield, board chair; William Vivian, board secretary; Kem Siddons, board treasurer; Chad Meadows, EVP/COO; John Turpish, EV/CFO; Vicki Adams, chief risk officer; Akin Agar, chief information officer; Jenny Vipperman, chief lending officer; Robert Davis, chief human resources officer; Darlene Heather, chief internal auditor; Joseph Nowland, chief business services officer; Joel Swanson, chief member experience officer; Judith Walz, chief marketing and planning officer; Ryan McIntyre; SVP, strategic initiatives, Lance Davies, senior legal counsel, and Jose Delgado, SVP, branch services. VyStar Credit Union opened a new branch office at 1600 Hendricks Ave.
Lylia Harris, vice president, will lead the San Marco branch team. “We are very excited to be here and look forward to making this branch a success,” said Harris, who began her career at VyStar at its Arlington branch more than 10 years ago. VyStar was founded in 1952 as Jax Navy Federal Credit Union at Naval Air Station Jacksonville to give people a safe place to save and hold their money, said Walz. It was started with 12 members, each putting $5 in to an account. Now the institution has over 630,000 members representing $8.2 billion in assets. In 1999, corporate headquarters were opened on Blanding Boulevard on the Westside. In 2001, Jax Navy became a state-charted credit union, dropping “Federal” from its name. In 2002, the company celebrated its 50th anniversary and changed its name to VyStar. In July 2018, VyStar purchased the SunTrust Tower in downtown Jacksonville, where it plans to relocate its corporate offices. The financial institution has offices in 53 counties, from Central Florida to the Panhandle and Southeast Georgia, with 20,000 surcharge-free ATMs nationwide.